March 15, 2010 - Time and again we see where airlines have been penalized for negligent maintenance work on their aircraft. However, this has not changed the corporate culture. It is apparent that it's more profitable to pay fines than perform the required maintenance work on aircraft as required by FAA regulations even if it places the public at risk. The Federal Aviation Administration (FAA) has proposed civil penalties against two subsidiaries of AMR Corp, American Airlines and American Eagle Airlines, totaling $3,687,500 as a result of company failures to perform proper maintenance work on its aircraft. 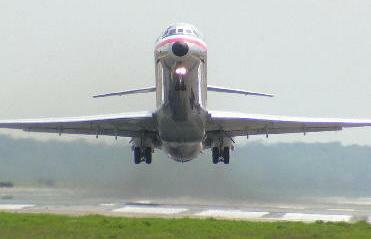 1) In April 2008, the FAA alleges American Airlines' mechanics diagnosed problems with one of two Central Air Data Computers on a McDonnell Douglas MD-82 jetliner. Instead of replacing the computer, mechanics improperly deferred this maintenance under the airlines' DC-9 Minimum Equipment List by noting that the auto-throttles were inoperative. The Minimum Equipment List, however, does not allow deferral of any inoperative Central Air Data Computer. The airline subsequently flew the plane on 10 passenger flights before the computer was replaced. During this time, flight crews were led to believe that both computers were working properly. The FAA proposes a civil penalty of $625,000 in this case. 2) In the second case, the FAA found that in March 2008, American failed to correctly follow an Airworthiness Directive involving the inspection of rudder components on certain Boeing 757 aircraft. As a result, four 757s operated by American Airlines did not comply with the requirements of the Airworthiness Directive. The FAA alleges that after American was advised of the situation, the company said it would cease flying the planes until they were repaired. However, during the following two days after being advised, the airline flew two of the planes on a total of three passenger flights. The FAA is seeking a penalty of $75,000 in this case. 3) In the third case, the FAA alleges that in May 2009, American’s mechanics returned an MD-82 aircraft to service, even though several steps of a scheduled B-check maintenance visit had not been checked off as completed. The airline also replaced a landing gear door without noting it in the aircraft’s logbook. The aircraft was operated on two passenger flights with the logbook error. An FAA inspection of the aircraft revealed several discrepancies in the tail section, including loose screws, a missing nut plate and a right hand elevator torque tube binding and making noise. As a result of these discrepancies, the FAA proposes a civil penalty of $87,500. 4) The fourth case, back in February, the Federal Aviation Administration (FAA) proposed a $2.9 million civil penalty against American Eagle Airlines for operating more than 1,000 flights using airplanes on which improper repairs were performed on landing gear doors. The FAA alleges that between February and May 2008, American Eagle conducted at least 1,178 passenger-carrying flights using four Bombardier jets with main landing gear doors that had not been repaired in accordance with an Airworthiness Directive that became effective in August 2006.